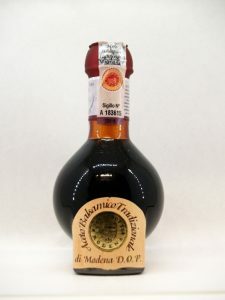 Black Cream with Balsamic Vinegar of Modena. Sweet, fruited and pleasant White Cream. 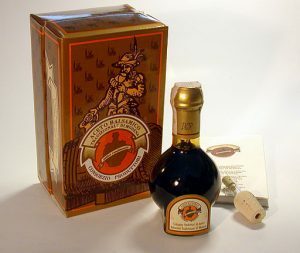 This Balsamic Vinegar is aged for at least twenty-five years. ensuring a consistent blend. Thick, rich, and concentrated; true “one drop” vinegar.